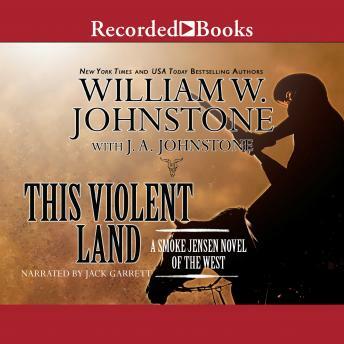 In this powerful new novel, William W. Johnstone and J.A. Johnstone chronicle Smoke Jensen's early years, long before he became a legend. Kirby-later Smoke-Jensen has just earned his first paying job as a deputy U.S. marshal for the Colorado Territory and is sent to the lawless town of Las Animas. There, he finds a sheriff too cowardly to face the outlaw leader Cole Dawson, whose six-gun has left a lot of good men dead. Young Smoke feels no such fear. He takes Dawson down fast. Then the real fight begins. It turns out Dawson is only a cog in a crooked plot hatched by someone hiding behind the law. For a young deputy marshal, going up against the powerful and corrupt is almost certainly a fool's mission, but doing nothing is not a choice. When Smoke strikes, he's in all the bloody way, and what follows will become the stuff of legend. Braving bullets, blood, and treachery to face down the most dangerous outlaw in Colorado Territory, Smoke will earn a reputation for justice and the rule of law in a wild, violent frontier.